Modern Living in Union Square. Housed in a historic, turn of the century building The Landmark at 333 Grant Street is San Francisco Historic Landmark number 141. It was designed by Coxhead and Coxhead in 1908 and originally served as the headquarters of the home telephone company, San Francisco's first telegraph exchange site. 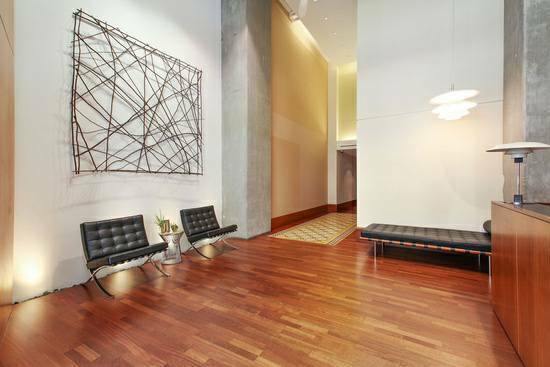 The Landmark sits on the boundary between the Downtown San Francisco District and the Financial District, just one block from the city's famous Union Square shopping area. No location in San Francisco could be better for walkability, shopping, dining, or commuting convenience. Walk Score 100. The Huntsman Architectural Group was brought in to design and convert the building which was completed in 2004. It is a stunning condominium-loft conversion- inside are contemporary urban condominiums and lofts that seamlessly combine the feel of another era with an updated and modern sensibility. All condos and lofts at The Landmark have perimeter walls of exposed brick and are finished with hardwood floors, stainless steel appliances, mahogany cabinets, and granite countertops. Some units have private decks and all residents enjoy the use of a rooftop terrace that provides panoramic views of San Francisco.